I recently had the privilege to be interviewed by the SMU Temerlin Advertising Institute team for the TAI blog. This is a repost of the interview discussing various topics tied to teaching, career advice, and how the advertising industry has shifted over the years. Professor Tom Edwards is teaching capstone course ADV 4399 Advertising Campaigns for the Temerlin Advertising Institute this semester. Professor Edwards is the chief digital officer at Agency, Epsilon, where he oversees brand planning, research, data design, digital strategy, digital experience, social/CRM/email, innovation and media. He regularly publishes content and speaks on the future of marketing. Professor Edwards was an adjunct faculty member of the virtual campus for Wayland Baptist University from 2003-2015. He also instructed Principles of Marketing, Advertising & Promotion, Global Marketing and Consumer Behavior. He has also guest lectured at University of Texas at Arlington, and prior to joining the TAI team he was a member of the SMU Digital Accelerator certification program faculty. I have spent the past 17 years in the marketing technology space. The rate of change associated with technology, its impact on consumer behavior and ultimately how we connect with consumers continues to outpace traditional academia’s ability to keep pace. I wanted to contribute and give back to the next generation of advertising professionals by bridging the gap theory and the practical application. What is your background in the subject you teach? I currently instruct the Advertising Campaigns course. Over my professional career, I have worked on campaigns for hundreds of fortune 1000 brands (Citi, Starbucks, AT&T, GameStop, Activision, Hasbro, Frito-Lay to name a few) both domestic and international. My expertise is rooted in a deep understanding of technology, consumer behavior, data and intelligent systems such as artificial intelligence and the application of machine learning. The passion and creativity exhibited by the students and the staff and their willingness to roll up their sleeves and get to work, even when it’s in areas they may not be in their core area of focus. I have instructed thousands of students over the past 15 years across a few universities and my favorite part is the open dialogue with the students. Getting to hear their perspectives and thoughts and to see their work evolve over the course of the semester is incredibly gratifying. What made you want to go into advertising? How did you get where you are in your career? I started my advertising career during the dot com days of the late 90’s. I had a passion for technology and all things digital. As graphical user interfaces and connectivity began to spread, so did the need to create engaging digital experiences. The alignment of marketing and technology have been a key foundation for the advancement of my career. I have worked in interactive agencies, start-ups, enterprise software companies and large agency holding companies. Having the ability to decipher complex problems into simple solutions has been a key to career advancement. The other critical component to career growth has been my blog. 10 years and over 400 posts later, having a visible point of view and a repository for thought, industry commentary and speaking has been a valuable asset in my career development. How have you seen the advertising industry change since you started? The biggest change over my career is the shift towards the empowered consumer. Prior to 2007 advertising had remained somewhat stable with broadcast at the center of the experience. In 2007 we saw that begin to shift with the introduction of the first iPhone. This sparked the shift towards mobility in advertising that is still prevalent. Then we saw how technology enhances consumer empowerment through the creation of user-created content, accessibility and amplification via social channels, the personification of brands and celebrity being redefined from Hollywood to influencers. Moving forward we are now seeing the shift from content marketing to contextual and the rise of multimodal interfaces with the focus shifting from mobile and desktop to voice, vision, and touch. Moving forward, we will see the shift from consumer-centric advertising to system based marketing as algorithms and virtual assistants will take on more responsibility for consumers and ultimately our definition of reality will evolve when we see the convergence of location data, computer vision, augmented reality and artificial intelligence where any space, physical or digital becomes a new canvas to connect with consumers. What advice do you have for students who want to have a career in advertising? 1) Network – Begin building a professional network before you start your professional career. Attend industry events and network in-person, focus on your LinkedIn profile and engaging with content. Your professional network is one of your most valuable resources. It should require more nurturing and attention than personal social channels. 2) Sponsor & Mentor – It is key to seek a mentor, someone who works in the industry you are about to enter to help navigate key pitfalls and to “learn the ropes” from a seasoned individual. It is incredibly important to be open to feedback. It is also important to identify a sponsor within your organization. Someone who is either directly or indirectly in your chain of command. Someone who can provide positive internal earned media and groom you for advancement. You cannot always depend on an immediate supervisor to serve this role. Seek out highly respected and influential individuals within the organization, you will know who they are. 3) Original Thought – I cannot reiterate how important publishing content can be for a new grad. Having thoughts on industry commentary or showcasing your ability to connect trends that may not seem to link on the surface is an art that can lead to you being selected over someone else. How do you incorporate aspects from your work into your teaching? I look to bring best in class examples and techniques, be it research, the latest on aligning psychographics and affinity to personas or the role of conversational experiences into digital strategies. The key is aligning experience and tools with the core areas of focus of the lesson or assignment. 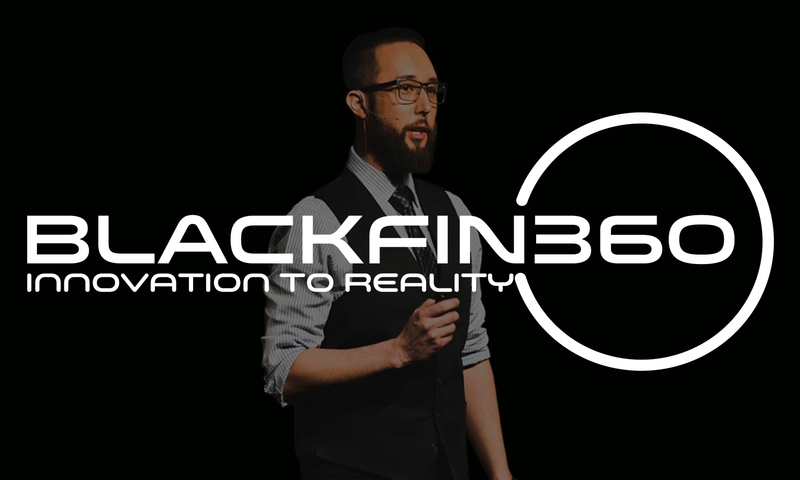 Follow Professor Edwards on Twitter @BlackFin360 to stay up to date on the latest areas of study.